Ahmedabad is also known as Amdavad/Karnavati. It is the largest city of Gujarat and also its former capital. Archaeological evidence suggests that the area around Ahmedabad has been inhabited since the 11th century, when it was known as Ashaval (or Ashapalli).King Karandev I, the Solanki ruler of Anhilwara (modern Patan), waged a successful war against the Bhil king of Ashaval, and established a city called Karnavati located at Maninagar close to the river Sabarmati. The legend, Sultan Ahmed Shah, saw a hare (large rabbit) chasing a dog while camping on the banks of the Sabarmati River. The Sultan was impressed by the act of bravery and decided to locate his capital there. 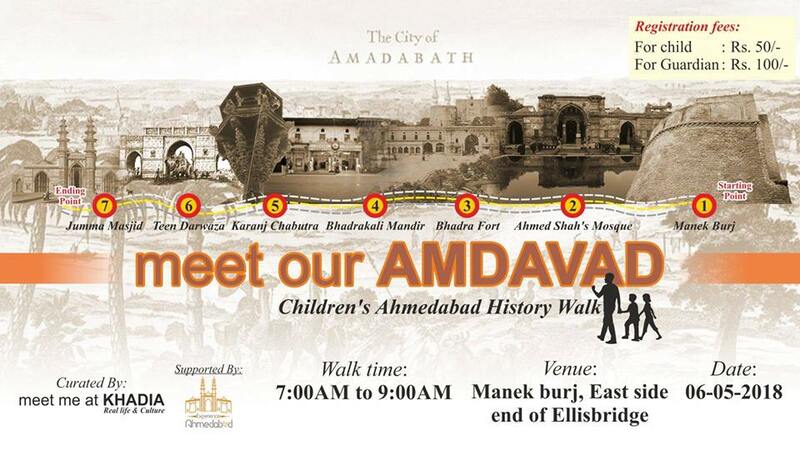 He named the city “Ahmedabad” (“the city of Ahmed”). The foundation of the city was laid on the second day of Dhu al-Qi’dah 813 A.H. (March 7th, 1411 A.D.). The incident is popularly described in the saying in Hindi, “Jab kutte pe sassa aaya, tab Badshah ne shaher basaya” which means Seeing the hare chasing the dog, the Emperor built the City. Ahmedabad is located on the banks of the River Sabarmati, 32 km (20 miles) from the state capital Gandhinagar. The city established itself as the home of a developing textile industry, which earned it the nickname the Manchester of the East. In 1487, Mahmud Begada, the grandson of Ahmed Shah, fortified the city with an outer wall 10 km (6.2 mi) in circumference and consisting of 12 gates, 189 bastions and over 6,000 battlements. Ahmedabad remained the provincial headquarters of the Mughals until 1758 when they surrendered the city to the Marathas. A military cantonment was established in 1824 and a municipal government in 1858. In 1864, a railway link between Ahmedabad and Mumbai (then Bombay) was established by the Bombay, Baroda, and Central India Railway (BB&CI), enabling traffic and trade between northern and southern India via the city. The Indian independence movement developed roots in the city when Mahatma Gandhi established two ashrams — the Kochrab Ashram near Paldi in 1915 and the Satyagraha Ashram (now Sabarmati Ashram) on the banks of the Sabarmati in 1917 — which would become centres of nationalist activities.